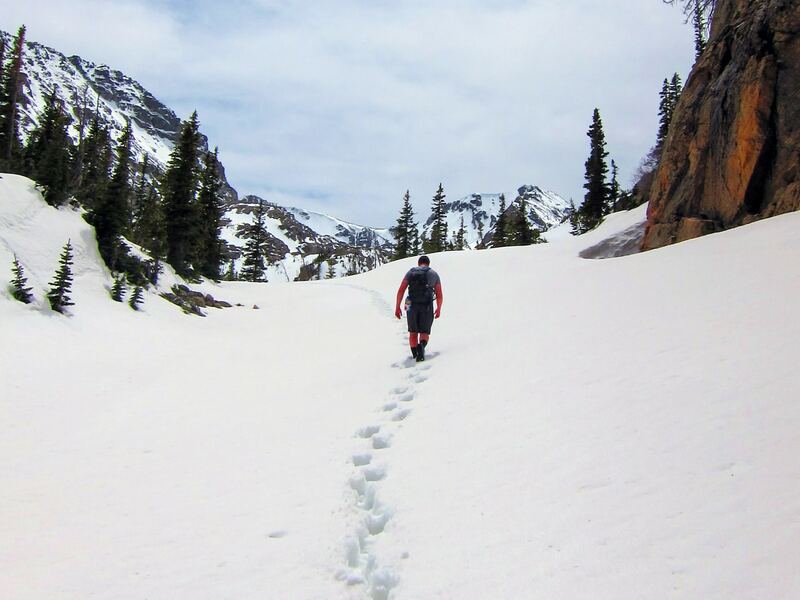 The snowshoe to Ouzel Lake really adds meaning to the sentiment: “It’s all about the journey, not the destination”. 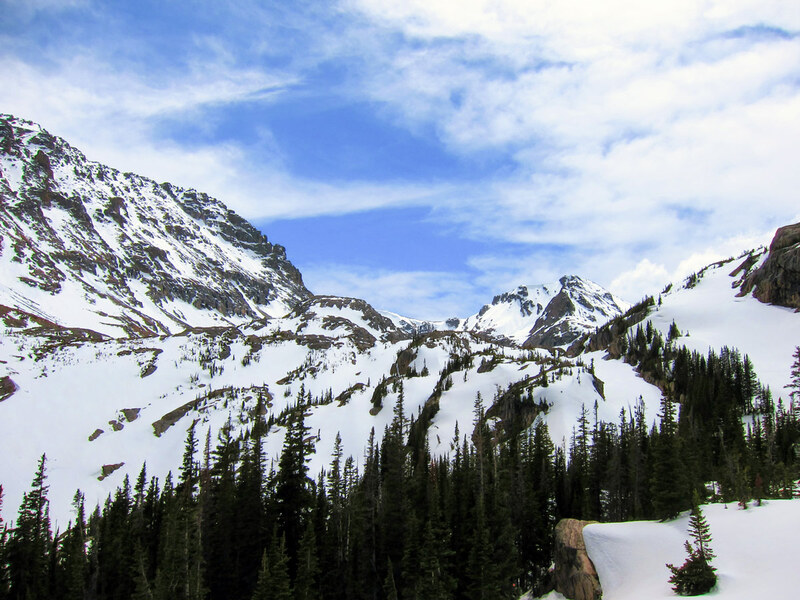 Ouzel Lake, located in Wild Basin, offers amazing panoramic views of RMNP and Longs Peak, however, the many waterfalls along the way are what truly make this snowshoe spectacular! From Estes Park, take Highway 7 south for 40.2km and turn right on to County Rd 84. From Lyons, turn left (south) onto 5th Ave., which turns into Highway 7. Follow it for about 32.2km where you will then turn left (west) on County Rd 84 following the signs for the Wild Basin Area. On County Rd 84, the road will split. Stay right and follow signs for Rocky Mountain National Park (County Road 115). You will pass the fee station. It is not always manned but you still need to pay the park fees. From here, the road becomes a narrow, windy, rough dirt road for about 8.0km to the end the Wild Basin Trailhead. Wild Basin is a lesser known, southern section of RMNP that borders Indian Peaks Wilderness just off the Peak to Peak Hwy. While we list this trip as a snowshoe trip, depending on current conditions, it could be done without snowshoes. 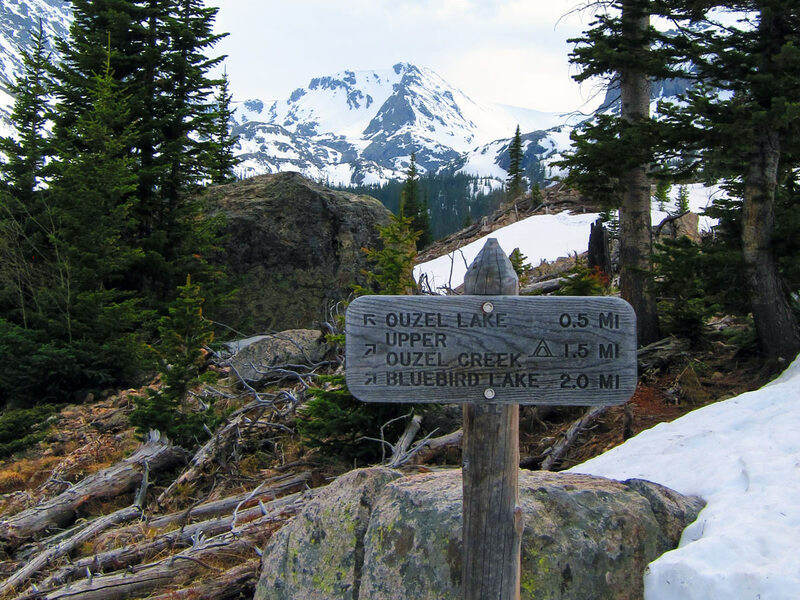 From the Wild Basin Trailhead, follow the Wild Basin Trail towards Ouzel Lake. 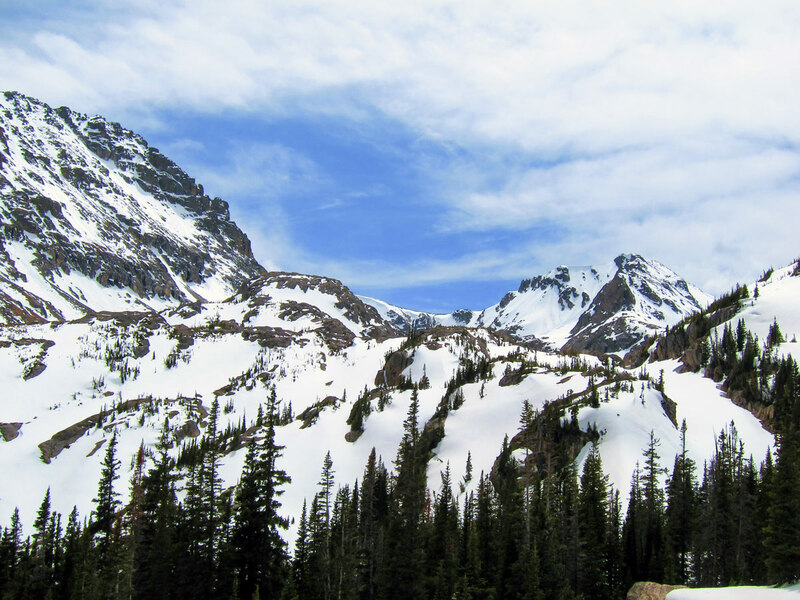 The snowshoe will start out amongst dense pine forest along a frozen North Saint Vrain Creek and Copeland Falls. Slowly gaining elevation, the trail will arrive at a bridge and trail junction at Calypso Falls. Continue on the trail to Ouzel Falls and enjoy the amazing waterfalls on offer in the summer. In winter, this large frozen waterfall will still be worth a visit though as it is frozen in place! 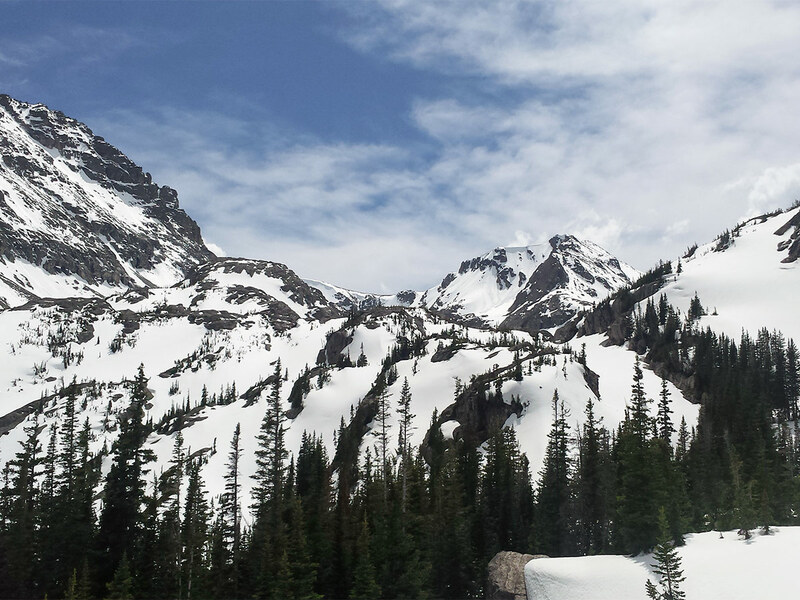 From Ouzel Falls, the trail will quickly gain elevation and an alpine ridgeline. Along the ridge, the panoramic views of RMNP and the Wild Basin are incredible. Notable peaks straight ahead of you are Copeland Mountain (4016m), Isolation Peak (3998m) Mt. 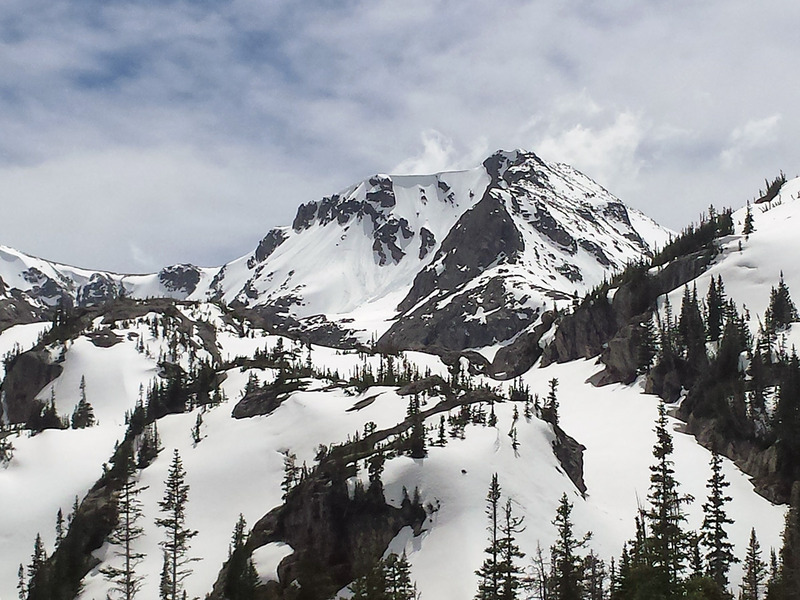 Alice (4057m) and Ouzel Peak (3876m). To the north, you can see Longs Peak (4346m) and Mount Meeker (4240m). Ouzel Lake lies at the end of the ridgeline. 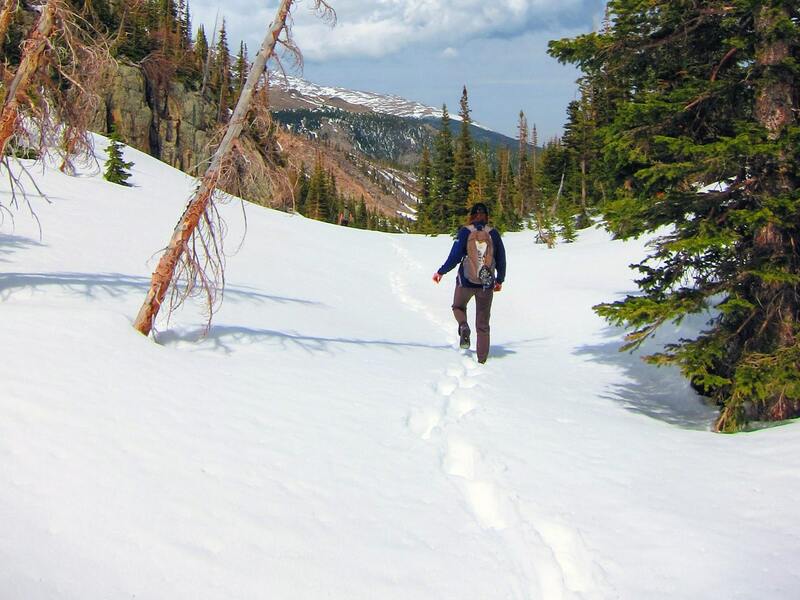 To get back to the Wild Basin trailhead, return the way you came by retracing your steps. If you’re hankering for a great meal, why not visit Rock Creek Tavern & Pizzeria in the small mountain town of Allenspark! 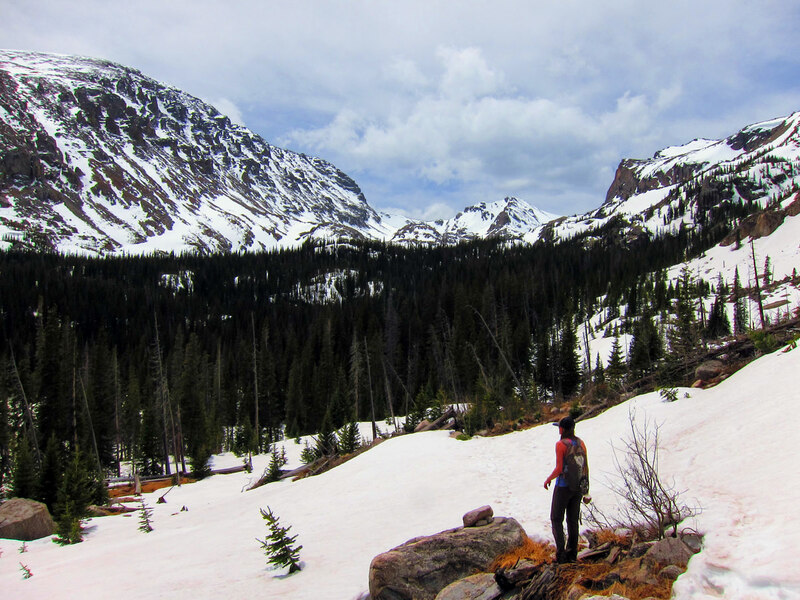 Snowshoeing in Rocky Mountain National Park takes you into remote terrain. Make sure you are prepared for an emergency with warm clothes, extra food, matches and potentially a satellite transceiver, like a Garmin InReach.  Cell phones may not work on all trails.